Relax in one of our pleasant and quiet rooms. 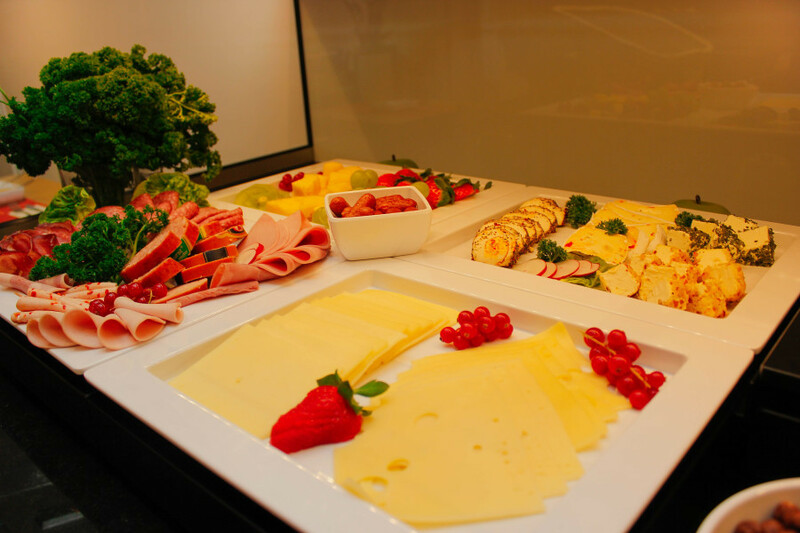 Start your day well – with our rich breakfast Buffet. Get to know us and enjoy your stay at our Hotel. 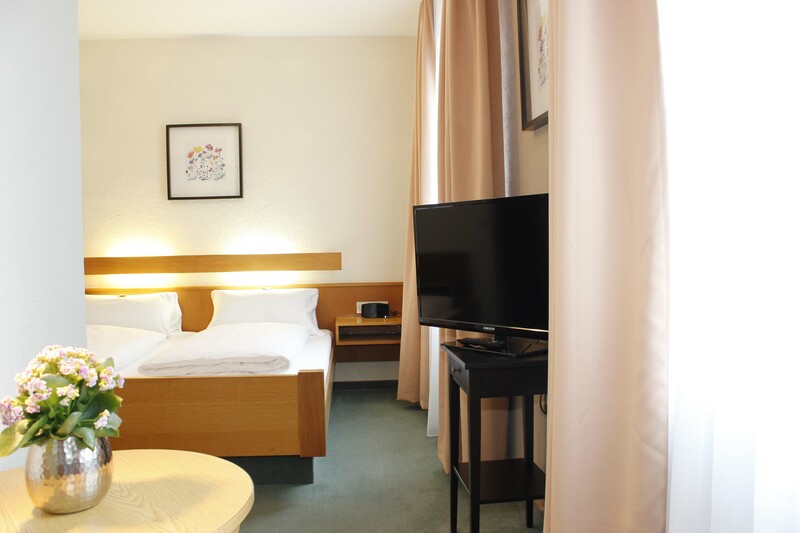 your Bed & Breakfast and conference hotel in Würzburg. The City Hotel Würzburg is located in the center of Würzburg. The location is an ideal starting point for walking tours around the beautiful old town and its magnificent sights. You can reach the Theater, the Cathedral and also the Central Station with a lot of national and international long-distance train connections in only a few minutes walking distance. The UNESCO world heritage “Residenz Würzburg” is around the corner, so that you can reach it in less than ten minutes. Würzburg is a very famous tourist attraction. 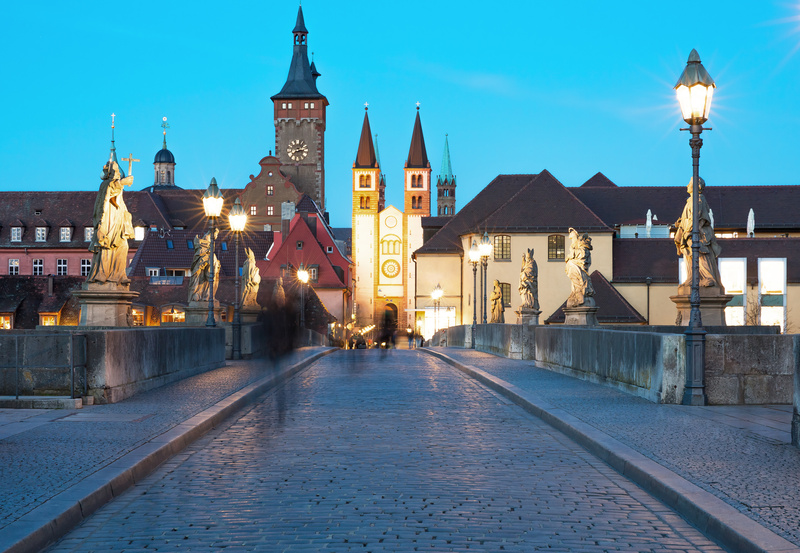 It’s long and fascinating history, the beautiful architecture, museums, theatres and cultural events are only a very few reasons for a visit in Würzburg. All 33 rooms have a Safe, LCD-Sat TV, dimming curtains, Desk, radio alarm, telephone with direct line, make-up mirror and hair dryer in Bathroom, as well as electronic key cards. Some rooms have a bigger bed, a bathtub, a separate sofa bed, seating areas and/or a minibar. You can have Wi-Fi for free in the whole building. Cyclists and Bikers can leave their Bikes for free in a locked garage. If you are travelling by car you can park it at „Parkhaus am Theater “. As our guest, you get a special discount price (8,00 € / 24 h). Meet our team and enjoy your stay at our hotel. Me and my colleagues will advise you and we would be pleased to submit you an offer for your trip to Würzburg. Note: If you would like to check in after 10pm, please contact the receptionist in advance. Reception is open from 6.30am until 10pm (on Sundays from 7am until 10pm).